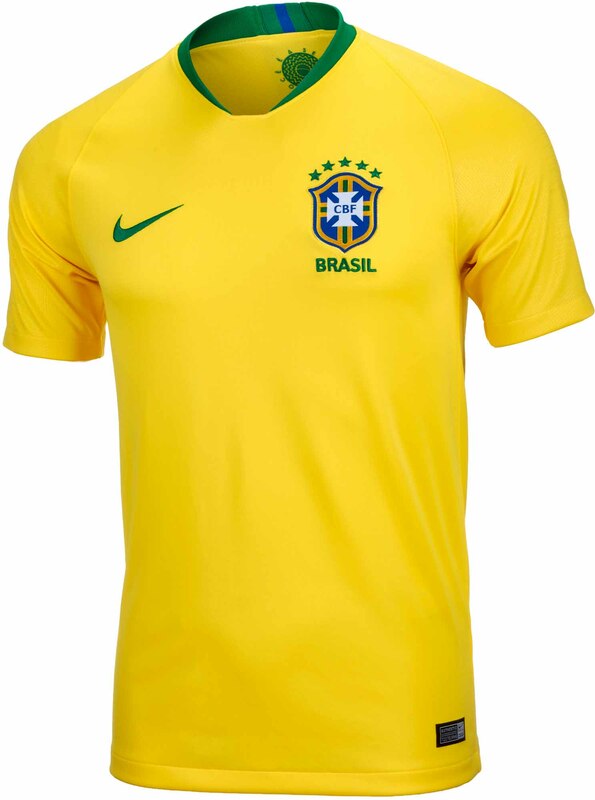 The Brazil kit for the World Cup was launched in March 2018 and the traditional samba yellow is more vivid than the previous edition. Indeed, the shade itself is actually a throwback to the 1970 World Cup with Nike matching the colour used by the team at that tournament. There are notches of green on the collar, with a tiny streak of blue at the back and the Nike swoosh is green. 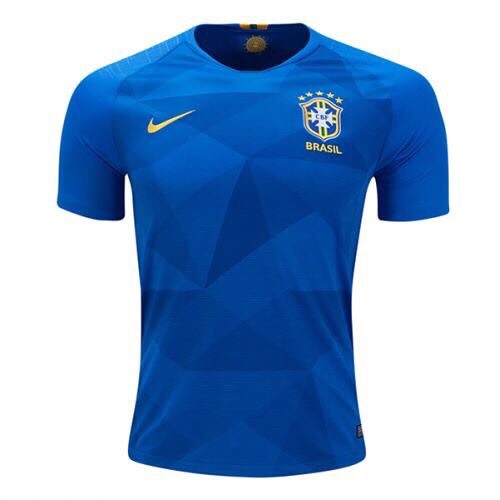 Brazil's away kit, naturally, is blue and it features a tesselating star pattern that is intended to evoke memories of the first World Cup they won - in 1958 against Sweden - which was also the first time the team wore blue.